Team Liquid have an opportunity to prove they belong at the top of the NA LCS. At the start of the season, the most hyped team in the NA LCS was Team Liquid. After signing an all-star roster, many pundits pegged Liquid as likely playoff finalists. And for three weeks, they’ve played up to those expectations. But despite strong performances from Liquid on Summoner’s Rift, enthusiasm has shifted to some of their competition. Echo Fox’s torrid start to the LCS and Cloud9’s growth over the last few weeks means they’ve gotten more hype recently. The good news for Liquid is that they have an opportunity to shut down both of those teams this week. Do that, and there will be no doubt who the best team in the LCS is. What do they have to do this weekend to take control of the region? Cloud9 started slow this split as new jungler Dennis “Svenskeren” Johnsen figured out how to play around his solo lanes. Mid laner Nicolaj Jensen has never been noted for his roams, and they are running a rookie in top lane in Eric “Licorice” Ritchie. Things are still coming together for those three. But last week, Cloud9 started to really assert their dominance in the duo lane. 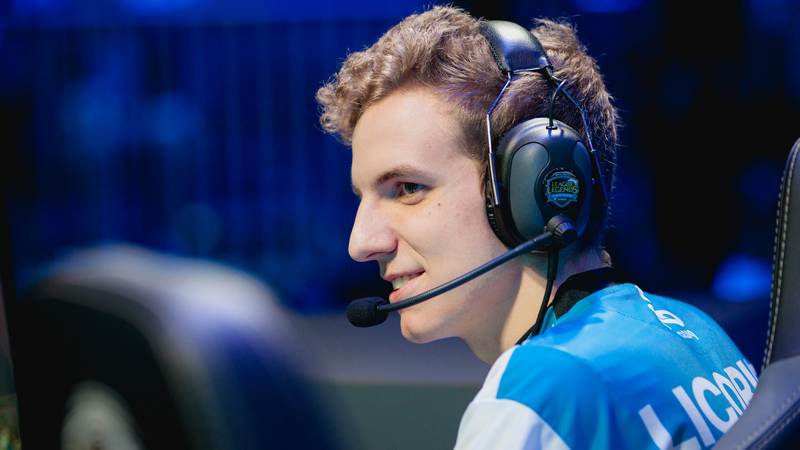 ADC Zachary “Sneaky” Scuderi quietly struggled some last summer, by his standards anyway, before turning things on at Worlds. He’s been strong this year, but it’s really support Andy “Smoothie” Ta that’s stolen the show. Smoothie has been the best support in the region for quite some time now, and the lead is increasing. His playmaking is top-notch, whether in lane or around objectives. That puts pressure on Liquid support Kim “Olleh” Joo-sung. Olleh is a fine support, and his synergy with ADC Yiliang “Doublelift” Peng is increasing. But he’s also shown a penchant for strange, aggressive plays as a roaming support. Sometimes Olleh will come out of nowhere, which can be just as bad for the enemy team as his own. This would be a great opportunity for him to show that, with help from the jungle, he can shut down C9’s dynamic duo. From there, Olleh, needs to translate leads into coordinated vision roams with jungler Jake “Xmithie” Puchero. It would be fun to see some surprise roams to the top side, where Liquid’s Jung “Impact” Eon-yeong will be up against the man C9 chose to replace him with. Licorice has been a beast all year on carry-oriented champions, but Impact has made a career out of shutting strong players down. If he gets help and Liquid win the side lanes, Cloud9 become much easier to fight against. Honestly, the game plan should be very similar against Echo Fox. 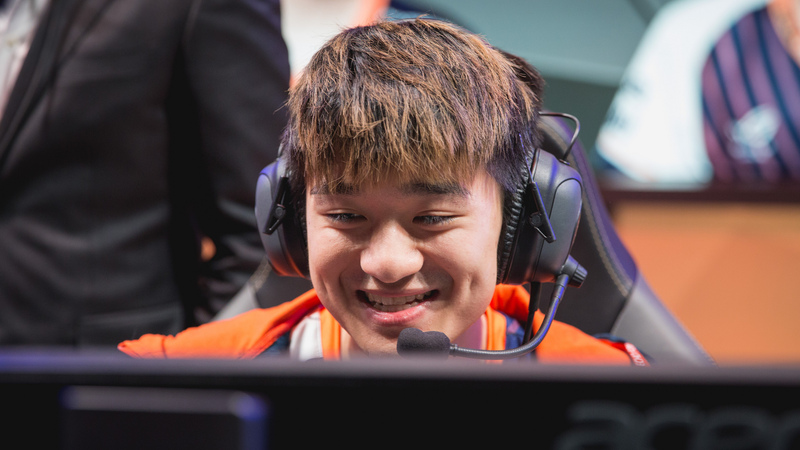 Echo Fox jungler Joshua “Dardoch” Hartnett has made a name for himself ganking for the solo lanes, and that makes sense when you have Heo “Huni” Seung-hoon and Kim “FeniX” Jae-hun. Both of those players are strong enough that they can solo carry games if they get far enough ahead. That has left Echo Fox’s bot lane of Johnny “Altec” Ru and Adrian Ma somewhat invisible. 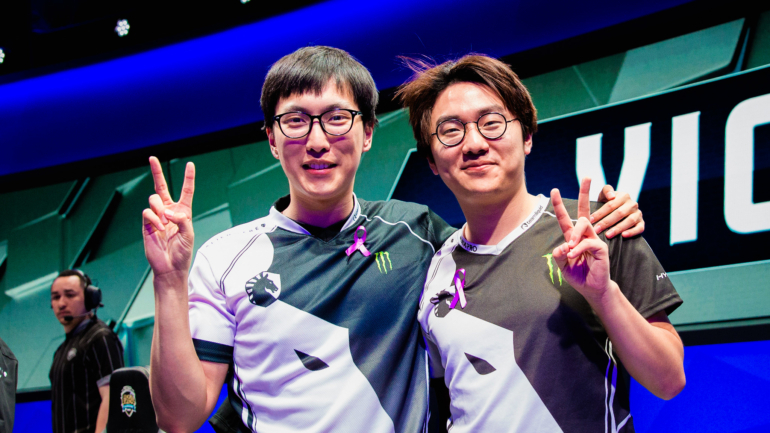 This is a solid bot lane that has improved in consistency and chemistry. But sometimes it feels like Echo Fox are leaving them behind, hoping that they just stay even while the other three make plays. Liquid can exploit that by diverting attention to the bot side of the map. Doublelift loves it when resources are diverted his way. Liquid should be on blue side for this game, and getting the bot lane ahead should set them up for strong control of Echo Fox’s blue buff, something that would help FeniX out. Doublelift has spent the past two years learning blue-side control from TSM’s rigid structure, and should be able to help his team achieve the same here. Finally, the last step for Liquid against both Cloud9 and Echo Fox will be to keep the snowball going into the late game. Liquid haven’t really been tested this year—their games usually feel over after the lane phase because of how far ahead they are. The one game they lost was because of a bad draft that over-emphasized AP damage, which doomed them in the late game. At some point this season, even if it’s not this week, somebody will punch Liquid in the mouth and force them to macro. How they respond when that happens could determine the fate of the NA LCS.